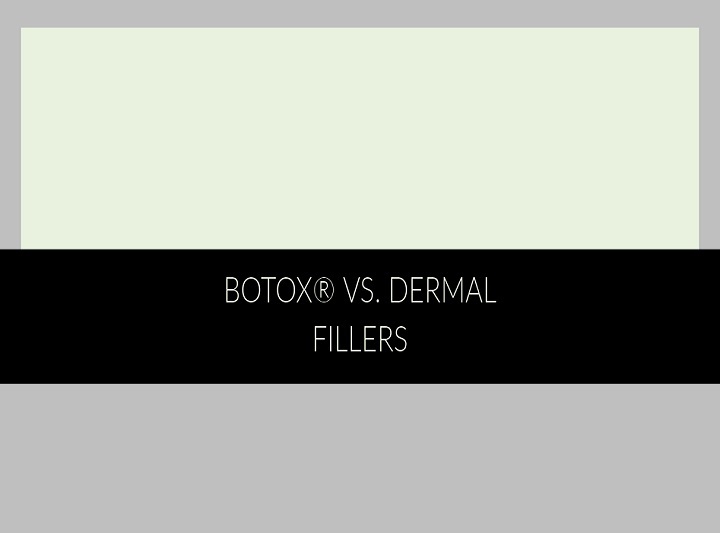 What is the difference between facial fillers and BOTOX®? This is a common question! BOTOX® is a purified neurotoxin. It is utilized to temporarily paralyze muscles in the face that are associated with wrinkling. 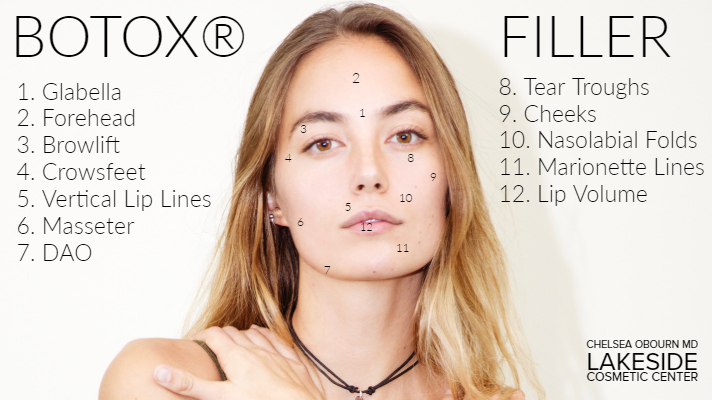 Through deliberate and precise placement of BOTOX®, we are able to effectively soften moderate to severe wrinkles. Typical treatment areas include the glabella (the area between the eyebrows), the forehead, crowsfeet, bunny lines, vertical wrinkles around the lips, wrinkling of the chin, and more. Facial filler, on the other hand, is used to replace and restore volume in areas of loss. The most commonly used fillers these days are hyaluronic acid, a naturally occurring component of the skin. Commonly treated areas include the cheeks, nasolabial folds, marionette lines, tear troughs, and lips. Through careful and skillful placement of the filler, a softer, more rejuvenated look can be achieved.